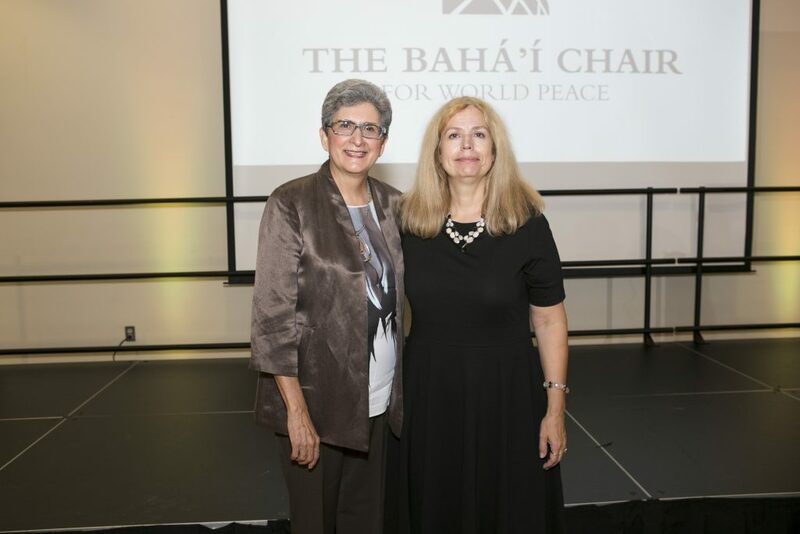 The turn-out to the Baha’i Chair of World Peace’s First Annual Lecture on Thursday, September 21st was impressive. The audience included University of Maryland students, teachers and deans, as well as amazing visitors from all over the world. There could not have been a better topic addressed in the presence of some of the most significant minds involved with the promotion of international peace. Professor Hoda Mahmoudi and Professor Valerie Hudson at the Annual Lecture, September 21st 2017. This is an insight written by Esther Kaufman on the lecture given by Mrs. May Rihani as part of the Bahá’í Chair for World Peace series on Women and Peace. This is a reflection written by Vicky Yu on the lecture by Professor Orna Blumen at the recent Learning Outside the Lines Conference.